Join us for a delicious tasting adventure as Olive Us Oil & Vinegar Tasting Room partners with cheese expert, Mr. David Beaudoin, for “The Art of Artisan Cheese; the Tasting Experience!“ During this evening event, David will share his extensive knowledge and unbridled passion for cheese as he guides you through eight paired tastings of specially selected Canadian cheeses. Together with wines, as well as our Ultra Premium extra virgin olive oils, aged balsamics, chocolate and other accompaniments, you will learn about each type of cheese, how to taste and what to look for in good quality cheese. You’ll gain the knowledge to create your own cheese course at home. Sure to be a wonderful evening, and as with cheese, it’s best when shared… so bring a friend! Click here to buy your ticket for this evening event. At the ‘check out’ stage, please click on “Calculate Shipping” and choose the “In-store pick up” option. Thanks! 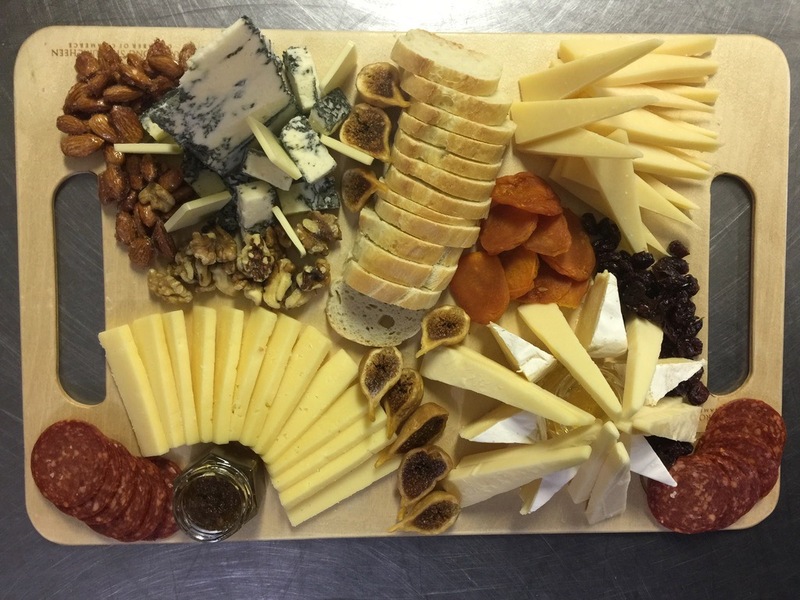 We’re excited to introduce you to the cheese expert, Mr. David Beaudoin! Born and raised in Québec City, David Beaudoin has always been a cheese lover. As a young man, he travelled the world while working as an entertainer on Cruise Ships, this enabled David to taste cheeses from around the globe. 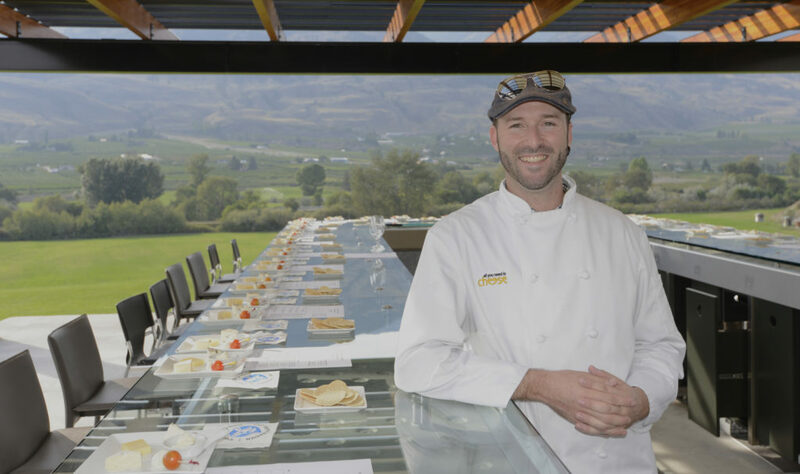 David moved to the Okanagan in 2005, where he turned his passion for cheese into an enterprise and launched his Squeaky Cheese TM and business. 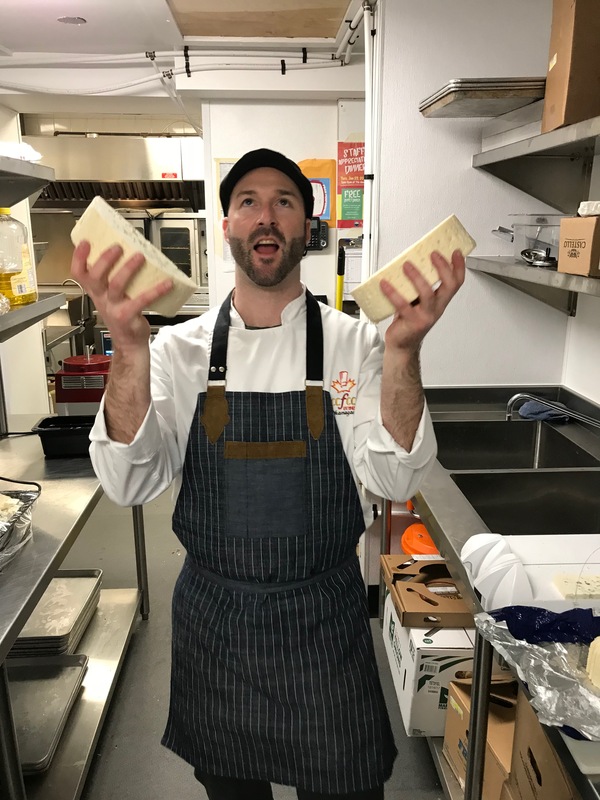 After 5 years of successfully building his Squeaky Cheese business, David decided to take on the lead role for one of the oldest cheese factories in British Columbia. During the next five years, working and learning with one of the country’s cheese masters, his knowledge and passion for cheese reached a whole new level. With a thorough understanding of the industry, he now shares his knowledge and enthusiasm for making, tasting and enjoying cheeses of all kinds. Dubbed ‘The Cheese Poet’ and known locally as ‘The Squeaky Cheese Guy,’ he also works as a cheese expert and consultant with the Dairy Farmers of Canada. Additionally, David educates many retailers to understand the benefits of cheese and provides advice on recommended handling practices with cheese. Proud to be Canadian, David will both educate and entertain as he introduces you to amazing world class Canadian cheeses. Come meet ‘The Cheese Poet’ and be part of this wonderful cheese experience!